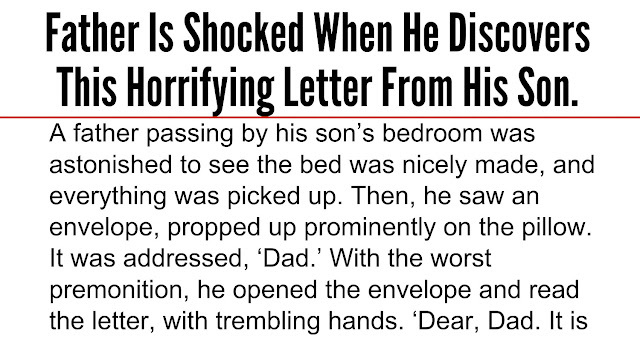 google-site-verification: google8d8438b214143f71.html Beautiful Quotes: Father Is Shocked When He Discovers This Horrifying Letter From His Son. A father passing by his son’s bedroom was astonished to see the bed was nicely made, and everything was picked up. Then, he saw an envelope, propped up prominently on the pillow. 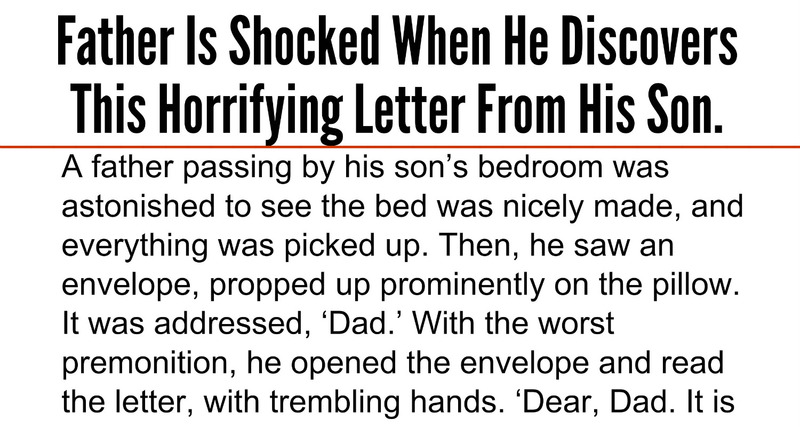 It was addressed, ‘Dad.’ With the worst premonition, he opened the envelope and read the letter, with trembling hands. ‘Dear, Dad. 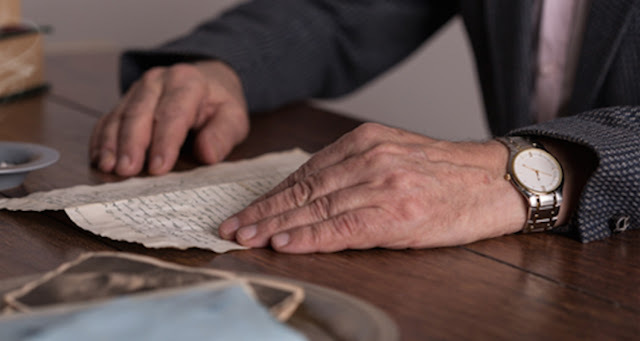 It is with great regret and sorrow that I’m writing you. I had to elope with my new girlfriend, because I wanted to avoid a scene with Mum and you. I’ve been finding real passion with Stacy, and she is so nice, but I knew you would not approve of her, because of all her piercings, tattoos, her tight Motorcycle clothes, and because she is so much older than I am. But it’s not only the passion, Dad. She’s pregnant. Stacy said that we will be very happy. She owns a trailer in the woods, and has a stack of firewood for the whole winter. We share a dream of having many more children. Stacy has opened my eyes to the fact that marijuana doesn’t, really hurt anyone. We’ll be growing it for ourselves, and trading it with the other people in the commune, for all the cocaine and ecstasy we want. In the meantime, we’ll pray that science will find a cure for AIDS, so Stacy can get better. She sure deserves it! Don’t worry Dad, I’m 15, and I know how to take care of myself. Someday, I’m sure we’ll be back to visit, so you can get to know your many grandchildren. P.S. Dad, none of the above is true. I’m over at Jason’s house. I just wanted to remind you that there are worse things in life than the school report that’s on the kitchen table. Call when it is safe for me to come home!